The Whitney & Sloo Lofts building was originally a leather factory, but was converted to residential condominiums in 1997. 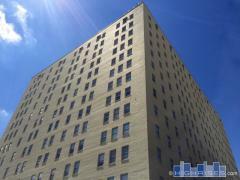 Whitney & Sloo is a 4-story building with 27 lofts which features a large roof deck with seating areas. Have any comments or questions about Whitney & Sloo Lofts? Ask your question and/or share your thoughts about this Building.